Of course, celebrities get compensated pretty well for these annoyances. But to have to do it EVERY. SINGLE. DAY. Geez. I can see why some resort to the make-up free, baseball cap, and sunglasses method of trying to avoid the paparazzi. I now have a little taste of how they feel – I literally escaped from the Indian tourists flocking to me for photos at the Ellora Caves by a still slightly unexcavated side entrance in one of them. Later on, when a couple asked me to take a photo of just them with a statue, using their own camera, I almost hugged them in gratitude. It’s a funny thing with all the attention I got, being the “other.” I’m so not used to being othered. I’m a white, educated, middle class, able-bodied woman. The only way I am othered is because of my sexual orientation, but even that is not as much of an “othering” in Canada today as it has been in the past. And I also can, and do, pass as straight when needed (which is especially useful when travelling through countries where homosexual acts are illegal). I’ve been able to live relatively comfortably in my “average” outwardly appearance to society. I never realized invisibility was so desirable, and so fleeting. 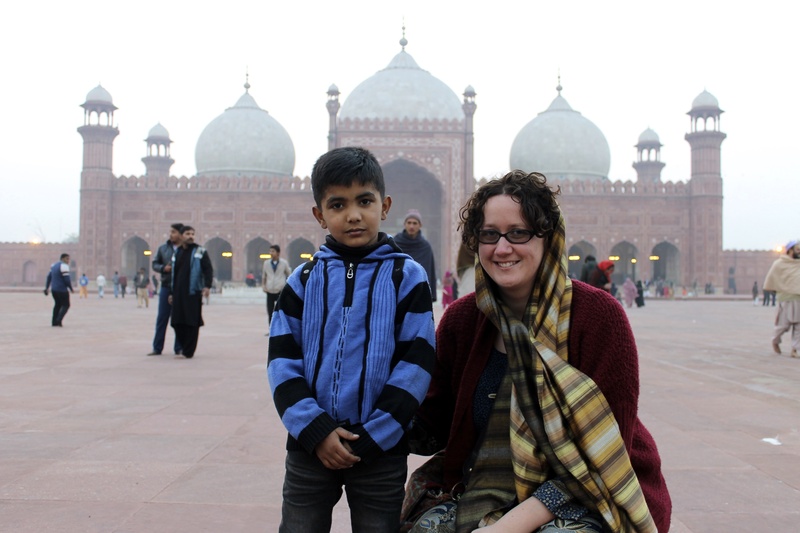 It all began relatively innocently with a small boy asking for a photo with him in front of a mosque in Old Lahore. That was the only time I was asked in Pakistan, probably because I was pretty much always accompanied by a Pakistani male friend like some sort of amicable bodyguard. 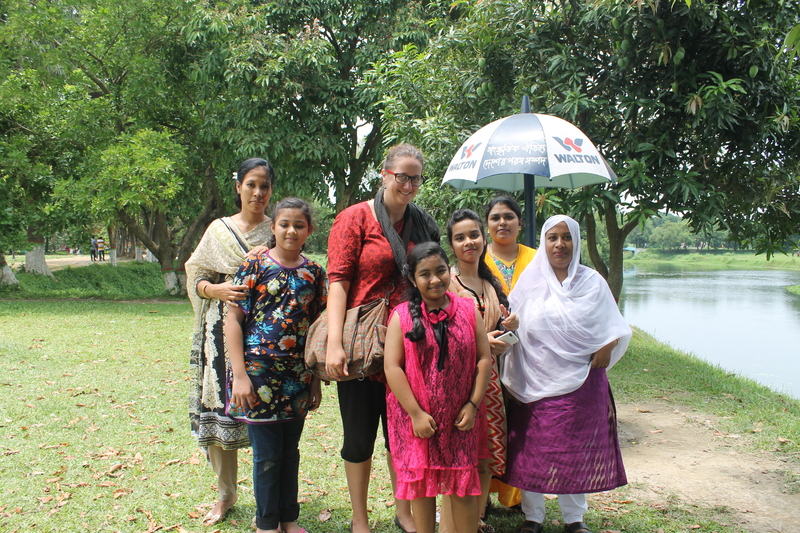 I wouldn’t realize how important that was until I got to India, and then onto Bangladesh. After crossing the border into India, there was an instance in Amritsar where I realized this might be more of a “thing.” I’d just watched the movie Gandhi for the first time before coming to India, and knew I wanted to visit the Jallianwala Bagh massacre site in Amritsar, where the British cruelly and systematically gunned down peaceful Indian protestors in 1919. Seriously, though, there were about 15 of them. And they all wanted photos. Individually and in groups. There was also an odd instance of an older man beckoning me over, after seeing this spectacle, and asking me to take a selfie with him using my camera. So I did. I figured it would be rude not to. After posting that status, an African-Canadian Facebook friend commented that I should think twice about agreeing to take photos with people who asked because I was perpetuating internalized racism. But for me, I’d feel like I would be asserting my privilege even more if I, a white person, told them, non-white people, that I wouldn’t take a photo with them because they were suffering from internalized racism. It would just perpetuate my own privilege. But it did get me thinking – why DID all these people want to take photos with me, or of me? 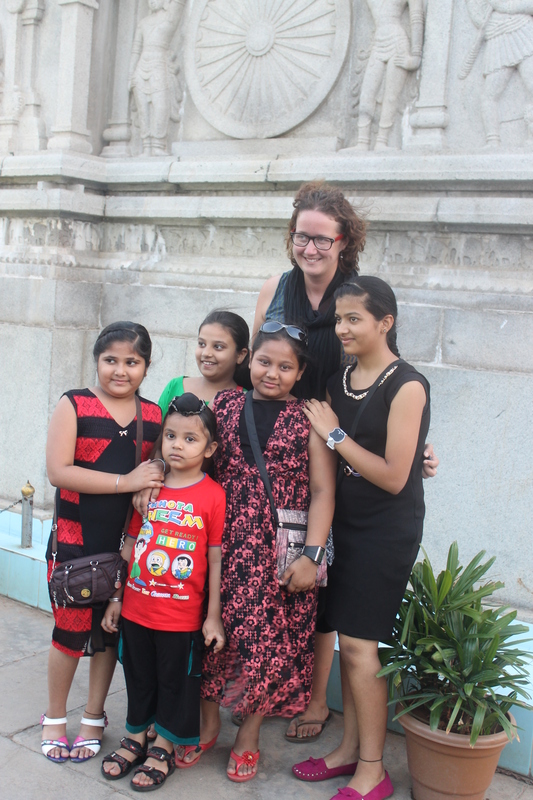 About 4 days into my time in India, in New Delhi, I realized why some people wanted photos. And it was for not-so-nice reasons. 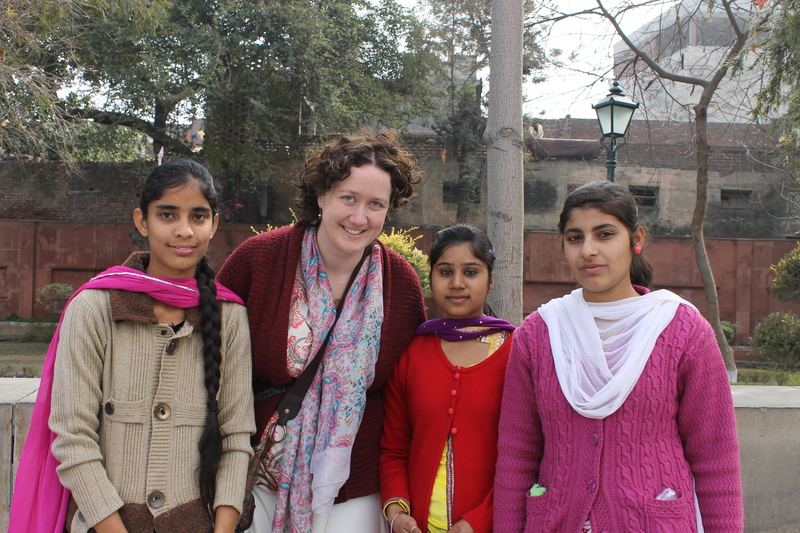 One group of young men at the Red Fort asked for a photo and I agreed. (Side note: I had not yet figured out that when asked by a group for “a photo” it really means you’re taking a bunch of photos with them in different combinations.) The photos quickly devolved into arms around the shoulder – which I did say no to – and then one weird photo where one guy shook my hand and pointed at me with the other. I was too stunned to really react. Talk about feeling like an exhibit in a freak show. Especially as this was quickly followed by a group of women at Qutab Minar who looked simultaneously horrified and fascinated by me and therefore started snapping photos with their phones. I would soon learn that, for men, it can be about telling their friends that they slept with a foreigner. I quickly decided to stop taking photos with single men – for that reason, and for the reason that they often were just creepy. Families, children, women – fine, I’d do it, even when I was annoyed by the quantity of the requests. But men became a no-no. So maybe, for some people, there is internalized racism there – the idea that they are somehow elevated by having a photo with a white person. But not always – as a Black friend I made in India would get more attention – and hair touching – from the crowds than I or other white women did. For others, I think, it’s more about the uniqueness of the sight – seeing a lone, tall, white woman as they go about their day. It’s a “Look what I saw, Mom!” moment. One Indian friend compared it to children wanting to take photos of her when she was in Canada because she had a bindi. In the end, there are probably hundreds of photos of me floating around Facebook and other social media sites, with the family I met in the second class coach to Darjeeling, with the waiters at a restaurant in Bangalore and the hotel staff in Dhaka, with the eloquent teenage girl in Bangladesh who explained to me that she wanted a photo to show others that foreigners visit her country, with the group of children at the Buddha statue in Hyderabad, and with the two families who handed me their babies to hold for their not-so-traditional family portraits (thankfully only one cried), and many, many more. There’s even a short phone video taken by two young police officers in Varanasi. Posted on July 12, 2015, in India, Pakistan and tagged bangladesh, india, pakistan, photos, sri lanka. Bookmark the permalink. 2 Comments.